Of the books I’ve written, perhaps my favorite is The Karma of King Harald, which recounts the misadventures of a crime-sniffing canine and his human. If I could get one series really rolling, this would be it. It’s also my favorite cover from among the seven titles we’ve published so far. And it’s such a fun cover, because of a dog called Fiver–our model for King Harald. I got the distinct impression Fiver didn’t enjoy being in the spotlight. The dog was positively camera shy. He had all sorts of moves to get out of the frame. It wasn’t as though he was mad or anything. It was just more apologetic and a little hang-dog: Nothing personal, but I really, really wish you’d stop following me around snapping that thing. 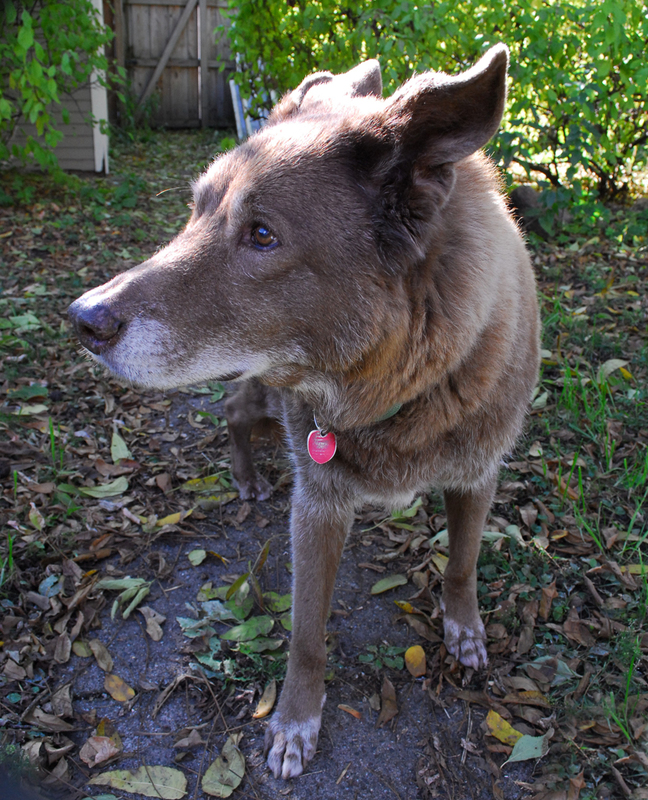 But if you take a few hundred shots of a good-natured but shy dog, you’re still apt to get some that work. And I was able to. Here’s one of Fiver from our last photo shoot in October. Sadly, Fiver passed away a couple weeks ago at the age of 15. It is certainly a tough transition for our friend Kelly–who shared that big, beautiful house with Fiver for many years. Any time a beloved animal friend leaves us, it leaves a hole in our heart that’s tough to fill. Sue and I are so grateful that we got to meet Fiver and make him a cover boy.